Chester Step Full Kit. 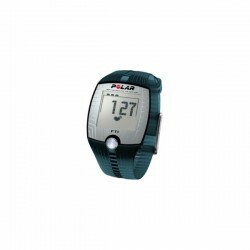 Comes with 30 cm step (also 15, 20 , 25 cm available) , Polar Heart Rate Watch (FT4) , Fitech V02 manual with 13 tests ( Chester Step, Astrand and more). Call 0118 324 0061 ext 600 for more information. Upper body Fitness Vo2 maximum test. The Chester Step test is ideal for use by the wide range of exercise and health professionals, for whom a simple, reliable assessment of aerobic capacity is required. 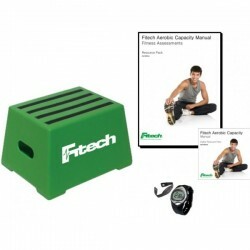 It was designed by Dr. Kevin Sykes, who was one of the original founders of Fitech. This is a submaximal, multistage, aerobic capacity test, which is hugely mobile, making it suitable for testing anywhere for all ages and all levels of fitness. Used originally by the Fire Brigade and the Police Force, it is now used universally within the fitness industry, occupational health, uniformed services and educational establishments.Designed to be used with a variety of Step heights (15, 20, 25 and 30cm), it can accommodate a wide range of ages and abilities and shows no gender-bias. This is the most mobile aerobic capacity test, as the only equipment needed is the Step. It is also very suitable for deconditioned subjects, as it starts at a very gentle pace (15 steps per minute and then every 2 minutes the rate increases by 5 steps per minute) and the subject does not have to complete the whole 5 stages. They only need to complete 3 Stages to get accurate results, although in extreme cases 2 Stages is sufficient. 12” (30cm) Step – is generally suitable for those under 40 years of age who regularly take physical exercise and are used to moderately vigorous exertion. 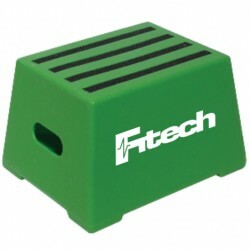 10 (25cm) Step – is generally suitable for those over 40 years of age who regularly take physical exercise and are used to moderately vigorous exertion. 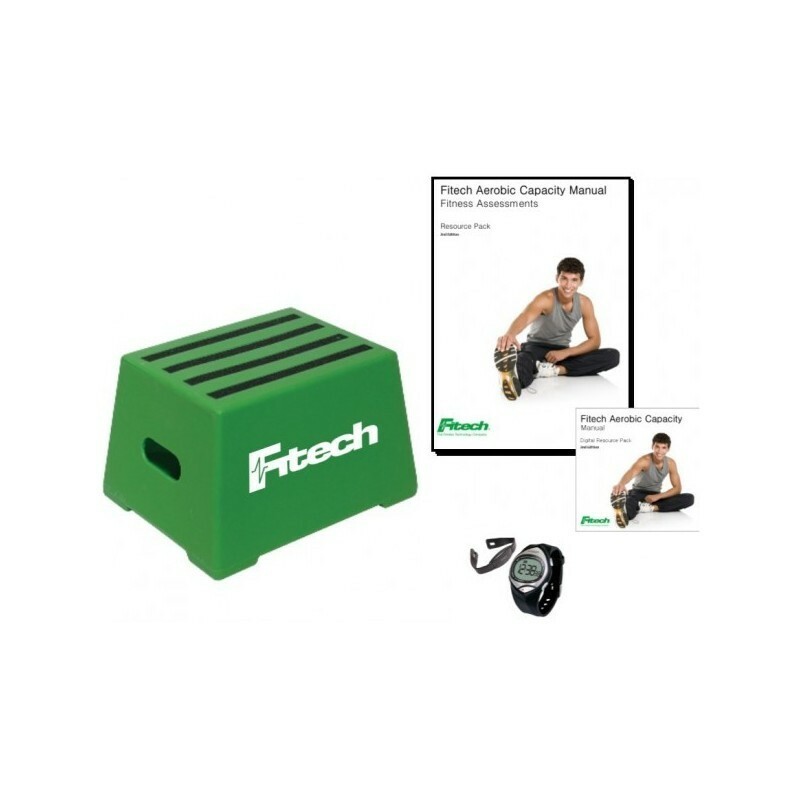 8” (20cm) Step – is generally suitable for those under 40 years of age who take little or no regular physical exercise and for those under-40’s who are moderately overweight. 6” (15cm) Step – is generally suitable for those over 40 years of age who take little or no regular physical exercise and for those under-40’s who are moderately overweight.